The 7 Best All Natural Mosquito Repellents Available in 2018. Non-Toxic Bug and Insect Sprays. Working our way toward 2018 calls for some serious repellent power if this year is going to be anything like 2016. And what it year it was! The news of Zika striking various parts of the country flooded our news stations almost daily and many people wound up sick or in the hospital as a result of highly infectious mosquitoes on a rampage. Before going out and exposing your skin to mosquitoes you want to make sure that you have the right repellent in hand and ready for application. Many people apply a repellent before heading outdoors especially during those times when mosquitoes are most prevalent, like at sunrise and sunset. Now of course those are not the ONLY times that mosquitoes may be present, but studies show that those are the busiest times. So, you will definitely want to have something ready should you get caught outside during those hours. What to Look for in a Mosquito Repellent? We found that all natural repellents that contain a multitude of compounds seems to get the best reviews and work better than those that contain only 1 or 2 ingredients. Another important factor is ingredient concentrations. Meaning, how much active ingredients are actually in each container and how many are mostly water or other fillers. Now some of the repellents are designed to be mostly oil based, and the manufacturers of those products feel that their repellent must have 100% oil in order to be effective. But what you want to look for is exactly what amount of ingredient in each bottle is included intentionally to act as a repellent vs. what is there just to take up space. Listed below are the best all natural mosquito repellents available based on active ingredients, popularity and ratings taken from various sources. These repellents are performers and get the job done when used as directed. So, here goes! Starting from top-to-bottom, BugMace is our pick for this year’s best all natural mosquito repellent. 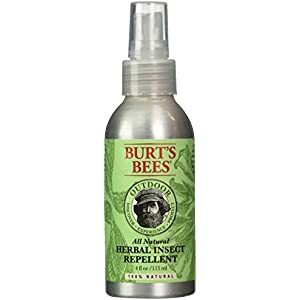 This bug repellent is the #1 rated natural repellent on Amazon and recently became a member of PETA’s ‘Beauty Without Bunnies’ as a Vegan product that does not test on animals. And another big plus is the fact that BugMace contains 100% Organic active ingredients. Now that’s nice! 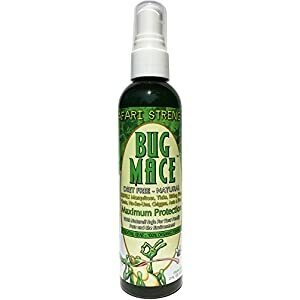 Packed with powerful insect repelling ingredients, this organic and plant based formula provides you with serious repellent protection, works instantly and has the highest efficacy rating out of all products I tried. And, I found that it is priced perfectly in line with other mosquito repellent sprays, smells really nice and definitely way better than most harsh ‘chemical based’ insect repellents (which is nice for a change). The multi-blend formula consists of a mixture of plant based oils proven to ward off most nuisance mosquitoes and insects, and it goes on super smooth and color free. Also, the lemongrass and vanilla fragrance is a little strong at first, but after application it weakens down while it forms a protective shield around you. Comparing this to other repellents, I noticed that this one has a very high level of active ingredients and is not mostly comprised of water like some others I looked at. For that reason, when I’m searching for a natural mosquito repellent, one of the most important things I look for is potency and safety. And, this repellent filled both of my requirements by incorporating a strong blend of plant based repellents and none of the harsh ingredients found in chemical based products such as DEET, Permethrin etc. This product comes in several different convenient sizes including a 2, 4 and 8 oz. bottle. The smaller 2 and 4 oz. are great for travelers as you won’t run into problems at the airport with the smaller sizes. 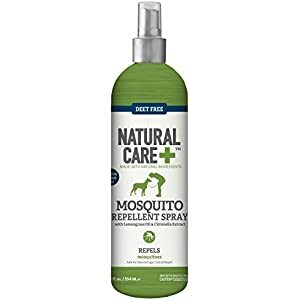 If you are on a mission to avoid chemical formulated mosquito repellents but need to make sure you are going to be protected, here’s another bug spray that ranks as one of the best all natural mosquito repellent formulas that might do the trick! It has a formidable blend of natural oils and provides solid protection for several hours without the odor associated with DEET and the like. This popular product comes in a sleek spray bottle offering serious mosquito protection. It controls mosquitoes and insects for several hours and has a rose scented fragrance. You can use it while camping, hiking or on the beach where pesky sand fleas enjoy YOU as their afternoon lunch. The main repellents listed on the labels are Geraniol and Soybean Oil that discourage insects from entering your space. There are so many different essential oils used in natural lotions and most do provide various degrees of shielding against insects. The top ingredient in this lotion, Geraniol, makes sure that you aren’t on the buffet. The combination of all natural repellents and sufficient water content allow for a smooth feel after application, and you will not experience the tacky-oily sensation that some other repellents exhibit. It goes on as a white spray mist and blends in well after rubbing into your skin. This too is a non-staining formula so there shouldn’t be too much concern getting the formula on your clothes. But, better safe than sorry – so, be sure to test a small amount before you risk spraying down your best ‘On the Town’ outfit. 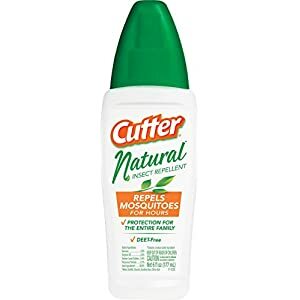 Cutter is also well known for offering a full line of mosquito and insect repellents that are chemical based. 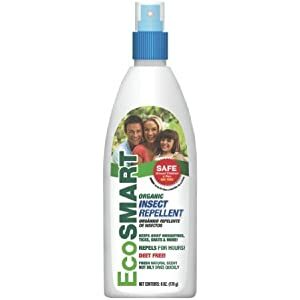 And, with several of their different repellents including various concentrations of DEET, Picaridin and lemon eucalyptus, it is nice to see that this company has decided to release an all natural bug repellent for the rapidly growing majority of people trying to stay away from chemical based solutions. OUT! Natural Care Mosquito Repellent is another essential oil based product containing lemongrass oil and geraniol; proven to keep bugs and insects at bay. Containing 93% water, this spray does not feel very oily and doesn’t pose a problem with staining or tackiness since only about 7% of the active ingredients are present. Now 7% active ingredients may seem a tad bit low to some people, But I have found other natural repellents that included even less actives, and they didn’t make the list because of their ultra-weak contents. I would have liked to have seen a higher concentration of oils, but then again, I’m just the reviewer :). Get rid of what’s bugging’ your baby. The power of natural essential aromatic oils (Citronella, Peppermint, Rosemary, Lemongrass & Geranium) keeps babies safe and free from pesky mosquitoes, gnats and flies. Our blend of essential oils is pungent to insects, especially mosquitoes, smells great and is safe for the whole family. Babyganics Natural Insect Repellent is designed to be applied to children and contains a blend of essential oils selected to help repel insects and mosquitoes. The product contains lower percentages of active ingredients compared to the best all natural mosquito repellents, and mostly consists of a whopping 95% soybean oil base. So, this item will feel very oily, which I found to be the consensus when reading through most of the reviews on Babyganics. The remaining active repellent ingredients consist of Citronella, Peppermint, Rosemary, Lemongrass & Geranium, all of which are at less than 1% potency. What this means to me is, it seems as though the product is on the right track as far as ingredients go, but the entire product ‘as a whole’ seems to be lacking a bit compared to other all natural repellents that have up to 10 times the active ingredients. While the product has been shown to be effective for some, it’s reviews reveal that just over 50% of users who tried the product considered it ‘highly effective’. I did not bother to personally try this product because I am all too familiar with the top rated brands that contain much higher levels of diversified ingredients, and knew what to expect. But based on my personal experience, and a plethora of online reviews, I am rating this product as ‘average’ because it is mostly oil based (sticky) with limited variations of other important repellent ingredients. This review of Avon’s Skin So Soft Bug Guard Plus Picaridin comes by way of users like you! 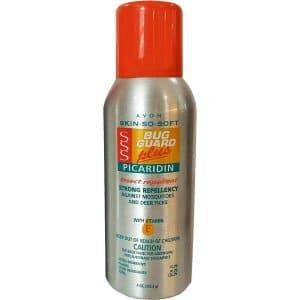 With an average rating of 4.4 stars online, this repellent is a staple for folks who need protection, but prefer to avoid DEET based bug sprays. If you spend any time at all researching the best repellent for your lifestyle and environment, Avon products always appear as one of the better performing repellents. Thinking back, I remember the days before Avon actually had an official ‘repellent’ but many users found that their standard skin-so-soft line gave pretty good protection against flying mosquitoes and other insects. Fast forward to 2016 and the company now offers a pretty solid line of repellents that have a great reputation for guarding against bugs. How popular is this repellent and how do most people who have used it feel about it’s performance? This one is easy. Just taking 10 minutes of your time reading labels and familiarizing yourself with the various all natural ingredients found in most repellents will go a long way educational wise. Take time to look at the repellents listed here to familiarize yourself with what-does-what and you’ll be off to a good start. How long will this repellent protect me against mosquitoes? Most all natural repellents will keep the majority of mosquitoes away for as little as 1 hour to as many as 8 hours. Review each repellent label thoroughly to see which claim to last the longest and remember to compare reviews and feedback form other users to see if those claims sync up with what the manufacturer says. Our top all natural mosquito repellent provides coverage for up to 4 hours based on feedback. Does this all natural repellent work as well as chemical repellents like DEET? All natural mosquito repellents are designed to work as well as their chemical counterparts. But while some live up to this challenge, other fail miserably. If you stick with the top repellents in this research guide, you will find that those repellents shown above have a tendency to work as well as chemical based repellents. And, for many people, that is a big benefit as they can get the protection they need without the use of chemical products. Hi, I'm Jennifer and I am all about nature, clean living and a chemical free lifestyle with what I eat and what I put on my body. 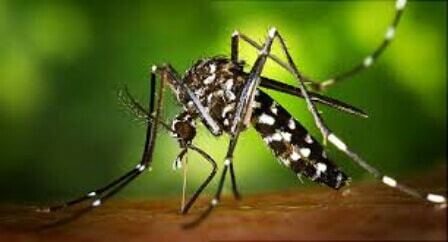 When I was a young girl, it seemed that I was the person most attracted to mosquitoes. When everyone else was going about their business, not especially bothered by mosquitoes or insects, I felt like a magnet for them. Through trial and error I found that I could achieve the protection I needed. I hope the information on my website is helpful to you and hopefully it will help you stay protected and save you time when searching for your perfect repellent.